At the end of September, American president Barack Obama had a phone conversation with his Iranian colleague Hassan Rouhani. These were the first direct talks between the presidents of the U.S. and Iran since 1979. The conversation was held just a few weeks after the presidents exchanged letters, before which the White House sent a message to the Iranian Supreme Leader Ayatollah Khomeini through the Sultan of Oman, who visited Tehran in August. The budding telephone and written exchange suggests that Washington and Tehran are tentatively testing the waters in preparation of direct negotiations at the highest possible level, trying to feel out the willingness of both nations to break down a 35-year wall of hostility. In this context, the 15-minute telephone call can only be seen as a small crack in a monolithic barrier of mutual distrust, as neither side is quite ready to completely overhaul its own positions. 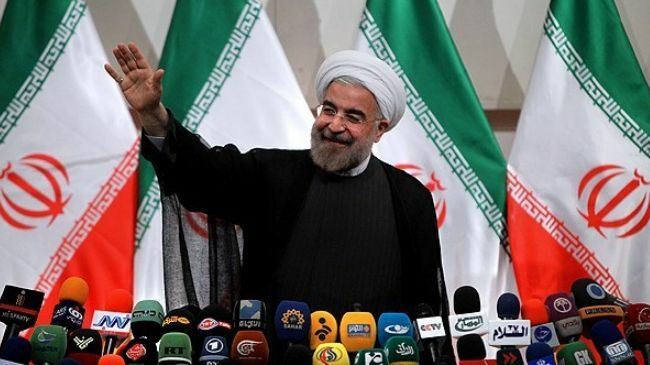 At the same time, Washington has not been ignoring the latest initiatives from Tehran’s officialdom, including the changes that are taking place in Iran after the election of President Hassan Rouhani. These attempts at American-Iranian relations have serious regional opponents, primarily in the form of Israel and Saudi Arabia, however, there are also hardline opponents within the U.S. and Iran. The telephone conversation between Obama and Rouhani became a serious test for the political elites in both countries and incited criticisms towards the presidents both in Washington and in Tehran. Rouhani’s main public opponent in Iran is the Revolutionary Guard. The Guard’s Chief Ali Jafari was quick to criticize his president’s phone call to Obama. The general could not see any “good intentions” coming from the White House. Sure enough, there aren’t the slightest of clues that the Americans are ready to lift economic sanctions, lift the seizure on Iranian bank accounts within the U.S. and to halt hostile insults towards Iran. In this respect, it is important to remember the September 29 statement of U.S. State Secretary John Kerry, in which he emphasized that improving U.S.-Iranian relations and lifting of sanctions are possible only if Iran signs the additional protocol of the Non-Proliferation Treaty, slows uranium enrichment down to a certain level and allows an inspection of the underground nuclear facility near the city of Qom. It is clear that Rouhani’s opponents are carefully monitoring all of his foreign policy initiatives to assess if the president’s actions are in line with Khomeini’s new diplomatic “heroic flexibility”. As such, the Guard immediately reacted to Rouhani’s CNN interview, allegedly attributing words about the Holocaust to the Iranian leader. It was later confirmed that this was a mistake made by CNN and Rouhani never said those words. One thing to note here is that Iran’s state broadcasting did not cover the story about the phone conversation. The country’s leadership is worried that a controversial perception of Iran’s new diplomacy can lead to a rift in society, which is already starting to form. Many Iranians are certain that “flirting” with the U.S. and the western nations, overall, cannot fix the international isolation of Iran and will only demonstrate Tehran’s weaknesses. Returning from New York, Rouhani was greeted at the airport by hundreds of his supporters with an equal amount of his opponents chanting “Death to America”. The western media has concluded that this episode is evidence of the difficulties that await the new president at home after his UN debut, where he presented a new strategy aimed at Washington. On the other hand, some speculate that the public discontent – voiced not just by the military, but by many other Iranian officials as well – towards the budding negotiations with the U.S. is a farce, an argument that is not completely unfounded. The appearance of an uncompromising conservative opposition could be an important part of the overall scenario, made to demonstrate how difficult it is for Rouhani to change course and negotiate with the West, who is then supposed to take these difficulties into account and soften their demands. At any rate, the present PR campaign to change western stereotypes about Iran is not at the bottom of the to-do list. From the very first days of Rouhani’s presidency, there have been talks of the “new face” of Iranian diplomacy. This was presented at the session of the General Assembly, where Rouhani did not just stand idly by, but instead offered a strong personal introduction and spoke about the changes in the direction of foreign policy within his country. The U.S. is not the only country watching the actions of the Iranian government like a hawk, other western nations are carefully monitoring the situation as well. President Obama made this fact crystal clear, “We will judge the politics of Iran by their actions, not by their words”. The U.S. plans to introduce strict criteria of testing whether Iranian intentions correspond with their concrete actions. A typical deadlock is formed: Tehran awaits “concrete steps to accommodate Iran, while Washington continues to threaten that “all options are on the table”, which includes “a military operation”. 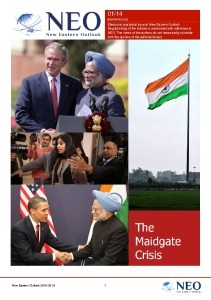 Direct contact between the two countries has only just begun and it is already in danger of faltering. It bears noting that Obama does not have infinite room to negotiate with Congress, while at the same time it is also unlikely that he will be able to take concrete steps towards negotiating with Iran without senators’ agreement. The House Resolution adopted in 2012 by members of the American Congress (401 for, 11 against) with demands to strengthen the economic and diplomatic pressure on Iran is still in force. Presently, the absolute majority of American MPs see the lifting or easing of sanctions against Iran as “extremely counterproductive”. Perhaps this is why, understanding the futility of overcoming a Senate veto, Obama instead sends Iran to the “six nation” mediators in charge of the Iranian nuclear program while not risking taking up the pioneering role of lifting sanctions. Washington is still attempting to use any diplomatic means and negotiating possibilities at various levels to gather support of its course with regards to the Iranian nuclear programme. 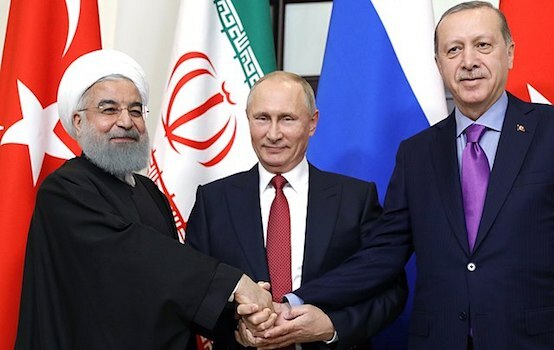 Nevertheless, the “six nations” include Russia and China, who have successively come to Iran’s aid and spoke out against unilateral sanctions by the U.S. and its allies, which has long been dubbed by Moscow as “dictating” and “arbitrary rule” on the international arena. Both countries believe that Washington’s accusations with respect to the Iranian nuclear program are politically driven, without any legal backing. In July of this year, Russia and China refused to pass a UN resolution which stated that the missile tests in Iran breached international sanctions, by which they made impossible any immediate further UN sanctions against the nation. It seems that, even now, it makes sense for Iran’s new leadership to cease testing the fate of their economy exclusively by seeking a mutual agreement with Washington to lift economic sanctions, but instead to actively begin cooperation with the “six nations”, where the Americans do not have an absolute majority and the positions of France and Germany have always been more reserved. Europe, which is just getting out of the crisis, is clearly lacking the billions of dollars it lost after leaving the Iranian market. Nikolai Bobkin, PhD in military science (Candidate of Military Sciences), he is an Associate Professor, a Senior Fellow at the Institute of the U.S. and Canada Centre for Military-Political Studies, Russian Academy of Sciences, exclusively for the online magazine “New Eastern Outlook”.